Conan O'Brien just dropped another edition of "Clueless Gamer," this time exploring the game Assassin's Creed: Origins. 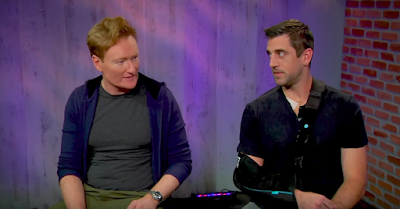 Conan's guest is Packers quarterback Aaron Rodgers, fresh off his broken collarbone injury. 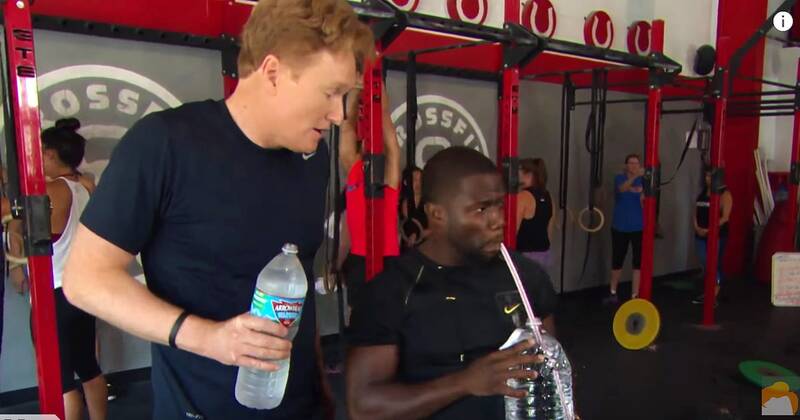 But if you think that'll stop Conan from cracking a few jokes at Rodgers' expense...well, you just haven't watched this show very much. Segment regular Aaron Bleyart and Packers offensive lineman David Bakhtiari also make appearances. Conan is not pleased that Rodgers is in a cast and he lets them know it. Enjoy the shenanigans below. In this Funny or Die sketch, Minnesota Timberwolves guard Jimmy Butler and Blackish actor Miles Brown sit down for a fun little interview. But what starts off as a normal chat quickly turns sinister as the pair trade bodies in what appears to be some kind of Freaky Friday situation. But I don't know, I've never seen this sort of thing before, have you? Man, this is just brutal to watch. Bangkok Sports Club and Satri Angthong were in a heated battle during the Thailand Cup. As regulation ended, the score was just 2-2. But then we went to penalty kicks. And that's where the fun really began. By the time the kick below happened, the score was 19-19. AMAZING. With so many goals scored, you can understand why the Satri goalkeeper was pretty pumped when a kick hit the upper crossbar and seemed to bounce out of harm's way. Sadly for said goalkeeper, though...the ball took an odd spin and hopped right back into the goal. Satri then missed their next penalty kick (for real this time), giving Bangkok the 20-19 win. Sports are silly. I'm very glad the NFL has allowed touchdown celebrations back into our lives. After previously banning showing any kind of emotion after scoring (a pretty impressive task no matter how you are), the league finally relented and...well, is letting the players have some fun. 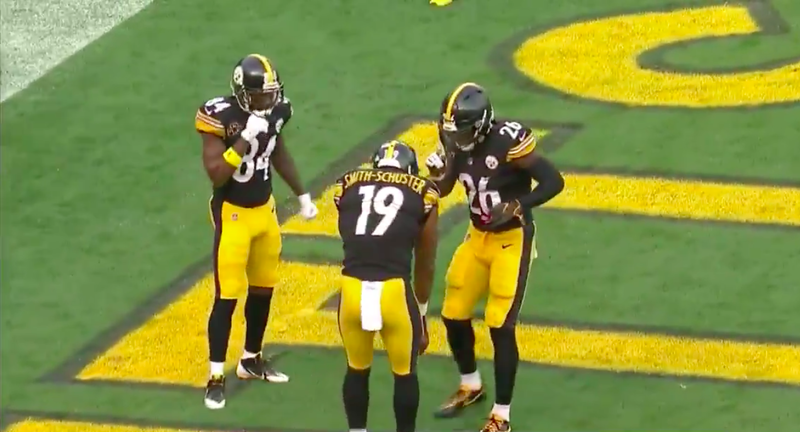 We've seen some pretty creative celebrations throughout the course of the season, but this one by Steelers wide receiver JuJu Smith-Schuster takes the cake. He engages in a game of hide and seek with teammate LeVeon Bell, all while fellow wide receiver Antonio Brown looks on in confusion. It's absolutely delightful and even Jim Nantz and Tony Romo applaud from the broadcaster booth. Come for the @TeamJuJu TD catch. Sports fans may have noticed a chilling series of short horror films plaguing their televisions this weekend. They looked like something straight out of a nightmare, but don't be fooled – they were actually commercials for candy. Mars Bar partnered with Fox Sports to release four separate "bite-size horror" short films, all two minutes long, that aim to spook. These ads don't have any product placement (aside from the candy "presenting" the commercial), but they sure are bone-chilling. Skittles, Starburst, Snickers, and M&M's all get a chance to spook. Check out a few of the commercials below and learn more about the making of the ads from Adweek. What a great time to be a sports fan. The MLB postseason is rolling, the NFL is in full swing, the NBA and NHL are just getting going. The U.S. men's soccer team isn't qualifying for the World Cup...okay, maybe that last one is a little less exciting. All that sporting means you need the right food to be on top of your game. 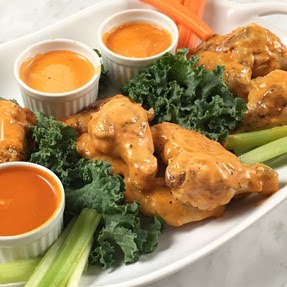 The good folks from Moore’s Marinades & Sauces gave me a sample of their Creamy Ranch Buffalo Wing Sauce to make sure my recipes are bursting with a flavorful kick. And I must say...this is some terrifically good stuff. If you like ranch and you like buffalo sauce, you'll dig this particular bottle. It's the perfect combination of creaminess and kick but what I like most is that it's super versatile. I've used it for a dip but it really shines as a marinade or a baste. I've given it a whirl on chicken, and surprisingly it was DELIGHTFUL on some salmon. 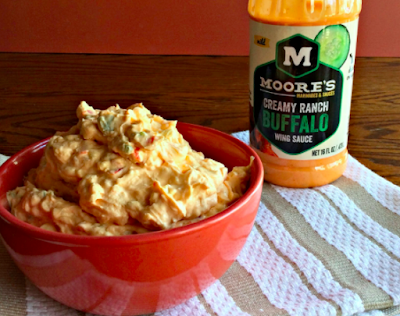 So whether you're throwing a tailgate or just hanging out by yourself, give Moore's a try. It'll boost whatever you're eating, and hey, that's all you can ask for. Now enjoy the game. Unless you're watching the Bears play. Because that is simply impossible to enjoy. I'm a huge basketball fan, so when offered the chance to read Craig Leener's debut novel This Was Never About Basketball, I naturally said yes. And I'm glad I did – it's quite the enjoyable read. While there are certainly some basketball elements at play here, this is more of a coming of age book that looks at relationships, doing the right thing, and ultimately bettering yourself as a person. There are some sci-fi moments as well, bringing just a bit of surrealism into the fray. Most importantly, this is simply a book that's tough to put down. I read it on an airplane - usually in that setting, I'm good for a chapter or two tops before I get tired. 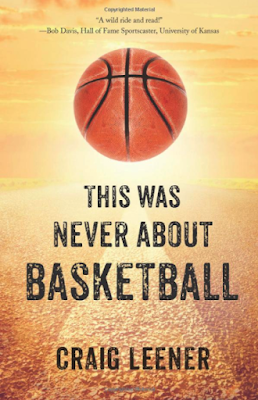 With This Was Never About Basketball, though, I found myself rapidly turning the pages, eager to find out what happened next. Craig was also kind enough to appear on the latest episode of Locally Sourced Joey, chatting about the inspiration for the book, what his writing process is like, and a few of his favorite basketball moments. Check out the bio below for some additional details, and don't forget to pick up a copy. All proceeds during the month of October will be donated to those affected by the recent hurricanes that have impacted the country. Because after all, there's more to life than just basketball. Seventeen-year-old high school basketball star Ezekiel “Zeke” Archer has it all: a sweet jump shot, a full-ride scholarship to a Midwestern basketball powerhouse, and the brightest future. But when Zeke’s temper gets the better of him in the city championship, he is expelled from school, has to forfeit his scholarship, and is left to ponder his once-hopeful future. While finishing his final high school days in the California educational system’s version of purgatory, Zeke makes a stunning discovery. With the help of a young autistic classmate Zeke befriends, he learns that the mysterious 7th Dimension, which brought basketball to Earth more than a century ago, has decided to take the game away for good — all because of the ugly event Zeke set into motion in his final game! As he embarks on the ultimate cross-country road trip to save basketball, Zeke must confront his unsettled past — including a father he’s not heard from in years and a brother fighting in a war half a world away — in order to set his life on the right path and rescue the game he loves. Have you ever had a long day at work or school, and when you're finally done for the evening, you just want to blow off a little steam? Sure, you could go out to a bar, or go watch the newest season of Bojack Horseman while lazing around on your couch. But if you're in Austin, there's a much better alternative. Urban Axes just opened up its doors in good ol' ATX – there's also a Philly location and planned 2018 openings in Baltimore and Detroit – and they were kind enough to invite me out for a launch party. This is the first indoor social axe throwing experience in the city, and I must say, despite learning I'm really not too talented at throwing axes onto a target, it was still quite an enjoyable evening. The space is BYOB, which I first thought sounded absolutely crazy. But I never felt unsafe at any point. There are always instructors around to make sure you're handling axes properly, not walking in the way of anyone throwing, or doing anything else you shouldn't be doing. Closed-toe shoes are mandatory, and only people 21 and up can enter. One of many, many bullseyes I threw during the evening. A typical night at Urban Axes includes some instructional training, a round robin where you're trying to score as many points as possible, and then a tournament, where you only have one goal: beat the person next to you. There are bays all throughout the space for people to throw, with two targets per bay. Depending on how many people are in your booking (6-12 or 13-24), you'll get a set amount of bays, so everyone should have the opportunity to throw ample times. If you have fewer than six people, Urban Axes recommends walking in rather than reserving. 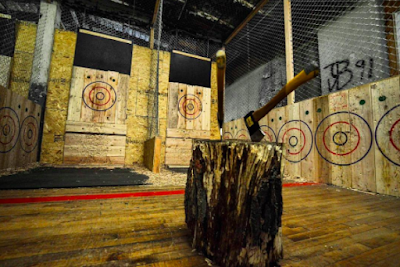 And if you can't get enough of throwing axes, both the Austin and Philadelphia locations offer eight-week leagues. 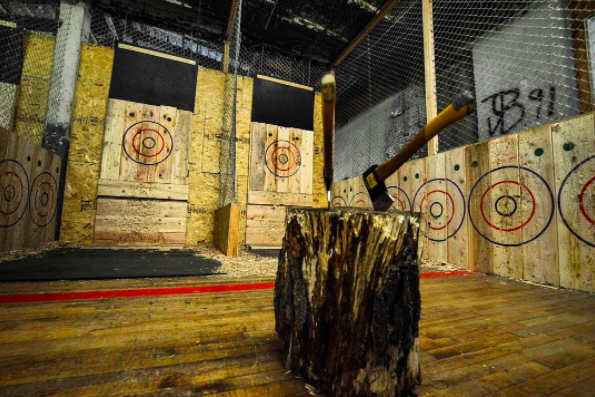 Since axe throwing is an individual sport in a group setting, if you sign up with some friends, you'll be able to hang out while demolishing them in competition. It's a win-win all around. Urban Axes is at 812 Airport Blvd. One-hour sessions cost $22 per person or you can do a 2.5-hour session for $35 per person. Give it a shot and send me your best axe photos! Please make them better than this one. Flannel optional. Sometimes, you just need to take a step back and reflect. That's the message behind California Typewriter, the debut documentary from Doug Nichol. The film dives into the dynamic between humans and machines, exploring how we used to interact with technology and how it's changed over the years. 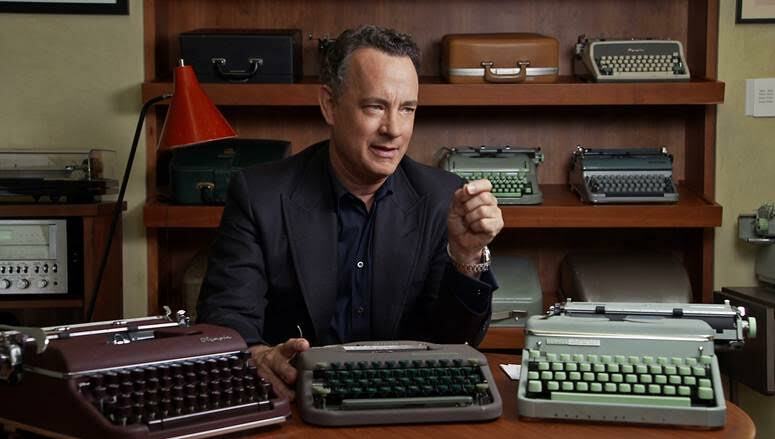 The film features appearances from celebrities like Tom Hanks, John Mayer, and Sam Shepard. While there's certainly an homage to typewriters, there's a greater question that Nichol poses: how do we react to things disappearing in our lives? For some, they look to the future. Others get stuck in the past, living a life of nostalgia. Both ways can lead down fulfilling paths, and sometimes there's beauty in cherishing where you are in life. "If you walk away with a message from it, take a moment to reflect," Nichol says. "Life isn’t all about efficiency. We’re in a rush for things to be faster and faster, but that can bring problems. Part of the fun of life is to do something for yourself. It’s like riding a bicycle versus riding a motorcycle. They’ll both get you there, but one of them is a more enjoyable journey." Nichol's first typewriter during the project was an Underwood 5, which he bought on eBay. Throughout the course of the film, he amassed a collection of 85 typewriters. His favorite of the bunch? An Erica 10. "It was made in Germany in the 50s and it’s so beautiful," Nichol explains. "It’s got a little button you push and the top opens like the trunk of a car. I picked this up for 25 bucks and you cannot get the mechanics and efficiency of it nowadays." And while Nichol admits he's in line whenever a new iPhone comes out, he hopes people will take solace in admiring a job well done. Even if it means getting your hands a little dirty. "Work is fun. I think a lot of people maybe don’t realize that work brings fulfillment," he says. "Maybe things will be faster and more efficient, but what’s the cost of that to society? It's about finding that right balance." Saturday Night Live kicked off its 42nd season Saturday, and boy, did it deliver the goods. Ryan Gosling served as host and delivered a handful of memorable sketches, though one struck me as particularly delightful. 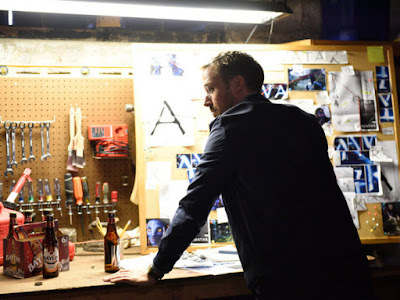 I won't spoil the details, but Gosling as an obsessive graphic designer (or at least someone with an appreciation for graphic design) is terrific. Perhaps it's because my company just underwent a rebrand and I got a glimpse of all the craziness that goes into design work. Perhaps it's the idea that someone could be so passionate about a movie poster that's nearly a decade old. Or perhaps it's just a really funny sketch. Whatever it is, it's a winner. Enjoy!